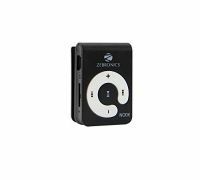 As it is not possible to carry your stereo system wherever you go, Mp3 or Mp4 players are the most convenient and compact music players which let you enjoy your music wherever and whenever you want. 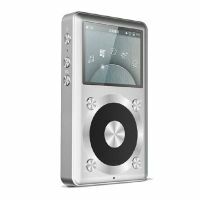 There are different types and models of Mp3 players and Mp4 players from major brands like Philips, Zebronics, Ematic, Sony, Apple and many more on DealsCorner. You can further compare the products and prices offered by various online stores like Flipkart, Amazon, Shopclues, Infibeam or Snapdeal on DealsCorner. During the 80s and 90s year, most people used walkman to listen music. The walkman was charged using the batteries and after two or more audio cassettes it had to be recharged with new batteries. With the evolving technology, compact and high quality audio players were introduced like Mp3 players as most of the songs were recorded in the Mp3 format. 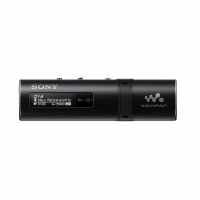 Later Mp4 format of songs were introduced which were not supported in Mp3 players, so latest Mp4 players are introduced. The latest Mp3 and Mp4 players are highly in demand among youngsters who like to constantly stay connected to their music players while travelling, working, exercising or driving. You can also find different models of iPods from the Apple family which is also highly in demand all over the world. There are different types of MP3 and Mp4 players with different features and functions like in-built hard drive based players, flash based players, video and photos functions, music and radio functions, recording audio, data storage, digital signal processing, playback options, hold switch, etc. There are Mp3, iPods and Mp4 players which come with internal hard drive based storage facilities. Different models have varied level of storage capacity ranging from 1 GB to 64 GB. People who regularly workout or exercise use the players with high storage facility so that they don’t have the frequently change the songs list. There are models in which you can use your flash cards or the memory cards also. You can update the songs list in the flash card and insert it in the players. In the latest Mp3 players you can find display option which shows the details of soundtrack and time duration. Some of the Mp3, Mp4 and iPod models let you save photos and videos to view or play whenever you want. Some of the Mp3 and Mp4 models also have the radio facility by which you can switch to radio and music as and when needed. There are different types of button like play, pause, stop, previous, next, volume increase and decrease, etc., buttons. You can also record the music in some of the models. While choosing the music players ensure the size, convenience of use, storage capacity and features available in it. You can find a wide range of products on DealsCorner from famous online stores, so instead of visiting different online stores and spending your time, you can find all the products on a single platform. You also have the facility to compare the prices offered by these online stores and then purchase the product of your interest in the lowest price range available in India from DealsCorner. Enjoy your shopping on DealsCorner and keep posting your reviews.